A one-of-a-kind creative dining and entertainment experience rooted in European cuisine and hospitality, and inspired by the Texas Hill Country. 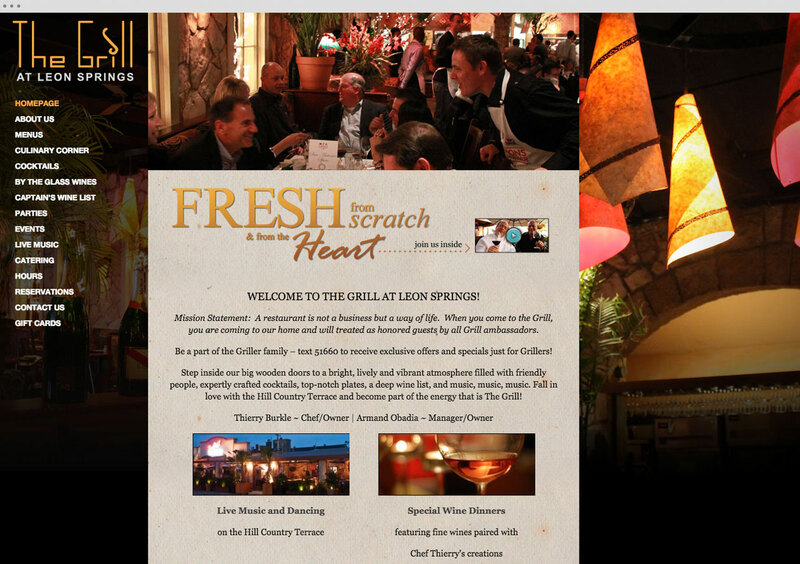 They needed a site that captures the energy and atmosphere of The Grill. We built an easy content management system for staff to update menus and music information.